★ Shoot, Crash and Pop it! ★ Don't get bored to clear candies in rows or columns. 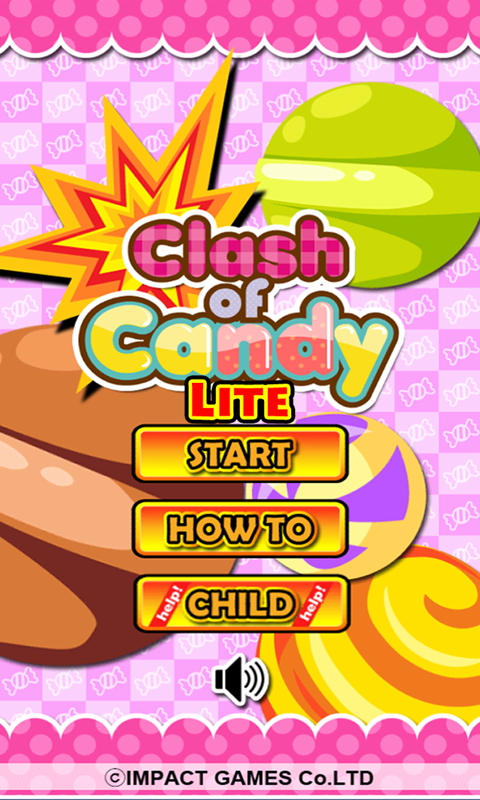 This is "Clash of Candies" that you can clear them just by shooting. Get thrilled with the extraordinary chain crash. [[ Play as follow ]] 1. 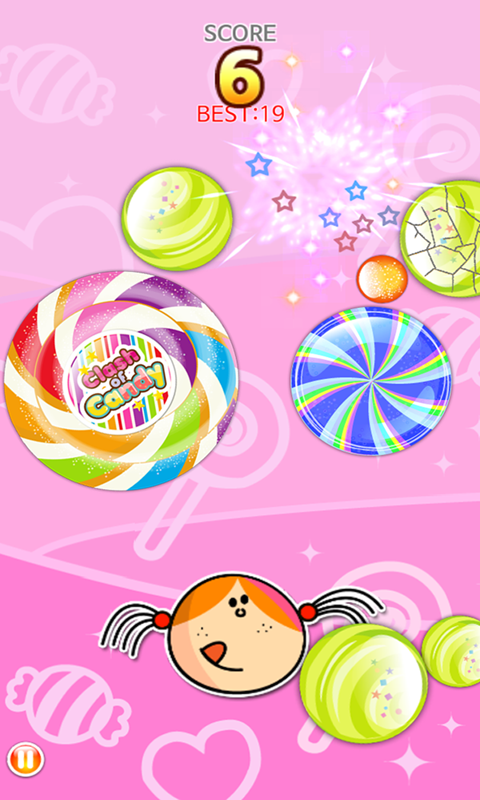 You touch any spot of the screen to shoot a candy that the girl eat at the bottom. 2. The candy you shot caroms off from the screen and slowly stops. Then it gets biggest until it encouters all of the candies around it. 3. 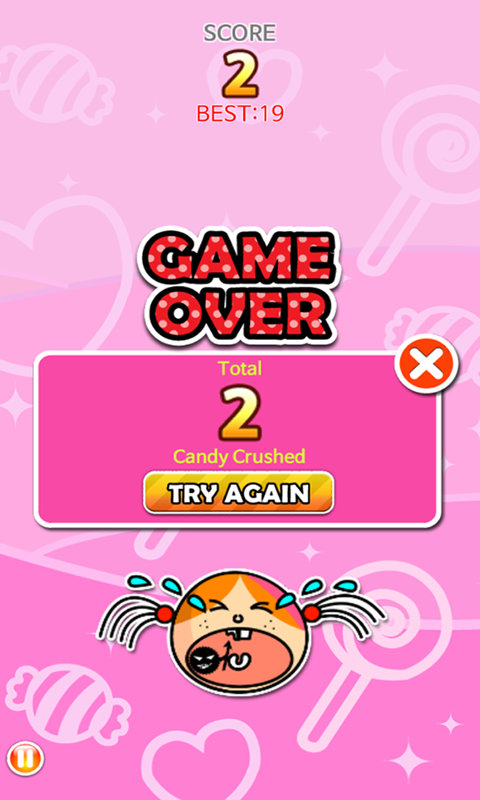 You shoot the next candy to make the previous one crashed. 4. 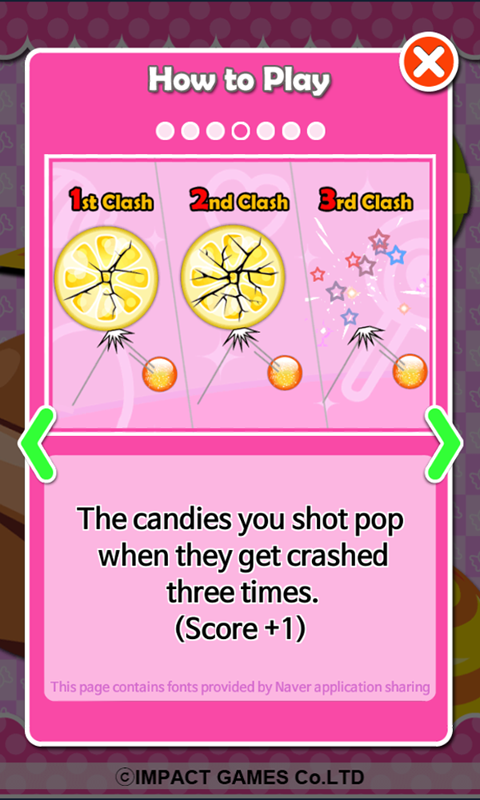 The candies you shot pop when they get crashed three times. 5. The game is over when the candy that caroms off encounters the girl's face and all of the candies are sucked into the bottom.